On a recent episode of the Law Show, John Cameron and I discussed various forms of insurance and some of the issues that arise in relation to different types of policies. John is new to Murphy Battista, but a long-time personal injury lawyer with over 15 years of experience. 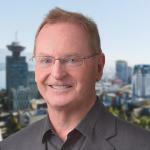 Prior to becoming a lawyer, John was a Vancouver police officer and, as such, always brings a unique perspective to discussions focused on personal injury law. For interested parties, I highly recommend viewing the video below. However, I have also provided a brief overview, as the information covered in this episode is important for insured parties throughout British Columbia. 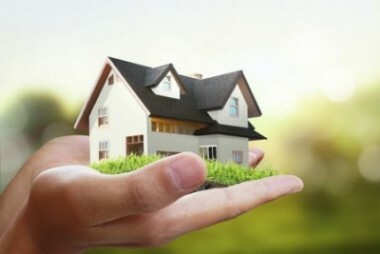 Anyone in a domicile of any kind should have homeowner’s or tenant’s insurance. Although most homeowners are covered because it is a requirement of their mortgage, renters are less likely to be covered. This leads to the tragic and common circumstance where a tenant ends up losing all of his or her belongings to a fire, flood, or other catastrophe and is left with no means of compensation. This situation is all the more upsetting when you consider that the average cost of a tenant’s insurance package is about $350 per year. If you do have tenant or homeowner’s insurance then it is important that you maximize your liability coverage. Few people realize that this liability coverage goes far beyond the boarders of your home and essentially covers you anywhere in the world (with the small exceptions of when you are driving or at work). For instance, if you were travelling, went to a museum, and accidentally knocked over a $10,000 vase, there is a good chance that the liability coverage from your homeowner’s or tenant’s insurance would cover the cost of the vase. One final recommendation is that you should try to catalogue the contents of your home prior to catastrophe striking. This does not mean that you should feel compelled to keep a detailed list of every object you own, rather you should take a few yearly snapshots of the contents of your home and any valuable possessions. Although failing to take these photos will not bar your recovery, having the foresight to snap a few images will expedite the claims process. Life insurance is often better understood than homeowner’s and tenant’s insurance. However, we still regularly represent clients who, following the death of a loved one, are dealing with a life insurer that refuses to pay. Generally, this has to do with issues of disclosure. Considering this, be as forthright as humanly possible when filling out medical questionnaires associated with your policy. We also recommend that you review any forms that are filled out by your broker on your behalf. It is not uncommon for a breakdown of communication to occur resulting in an incorrectly filled out disclosure document. In the wrong situation, this could spell disaster. Aside from motorist insurance, there is likely no area with more conflict than disability insurance. This has much to do with the fact that disability claims often hinge on what it means to be disabled. Further complicating the issue, medical doctors often tend to misunderstand what “totally disabled” means under the law. While a physician might view “totally disabled” as describing an individual who cannot get out of bed, in most insurance policies, “totally disabled” merely means that an individual is either unable to do all the important parts of their job or – in some instances – any job. Who should have disability insurance? If your family is dependent on your income, you should have this form of insurance. It is a sad truth that mortgage payments and other financial responsibilities do not disappear following an accident. The best advice we can give to British Columbian’s regarding travel insurance is simple: never leave BC without it. This is particularly true if you are heading to the United States. We also recommend that you go to a good insurance broker and make sure that you disclose any pre-existing conditions and any other relevant information regarding your health. If you have been denied compensation through an insurance policy, contact a lawyer at Murphy Battista LLP for more information.